Often thought of only in the same breath as school uniforms and cheap suits, navy is not a colour commonly associated with the home. Although blue is often cited as the UK’s favourite colour, this generally refers to its brighter, lighter variants, shades which recall calm seas and clear skies, whereas navy is closer to black. Certainly, a room entirely decorated in a darker hue of blue could feel oppressive as blue, by its very nature, can veer towards to the unemotional and cold, especially when viewed in our Northern light. Thus its popularity owes more to its positive associations — intelligence, serenity, trust and clarity — than its practical application at home. Nevertheless, this is a colour, that when used well, can imbue a crisp sense of order to any scheme, because it’s a disciplined hue that also has great depth of character. In women’s fashion, it’s often perceived as the soft alternative to black, as where the latter can be an auto default, navy implies a choice — less strict, more strength. However navy can also rather ramp up and intensify the colour’s inherent traits to a point that could be uncomfortable, think dominating, heavy, authoritarian or claustrophobic. Albeit, in my opinion, this would only be the case if the entire envelope of a room were to be decorated exclusively in navy. 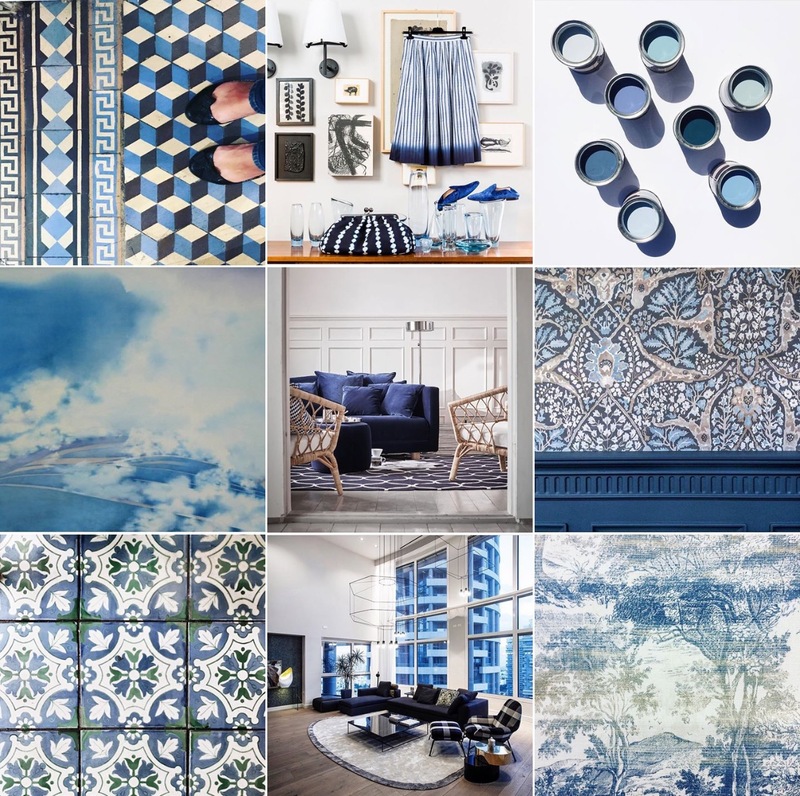 Blue @michelleogundehin Instagram moodboard. Check feed for full credits. So how to use it well? Just as with uniforms, it looks super smart against a white shirt and shiny black shoes, so too at home. Some of my favourite combinations are to deliberately pair it with materials that really are it’s polar opposite eg rattan, wicker and pale woods, alternatively to partner it with bold prints and patterns, whether for accessories such as cushions and rugs or wallpaper and tiles. Thus its strictness is offset, allowing it to simply add rigour to something that might otherwise feel over the top or out of place. Consider it as a touch of cool, a dose of sophistication, or a sense of sharpness to underpin more light-hearted decor moments, and you can’t go wrong. 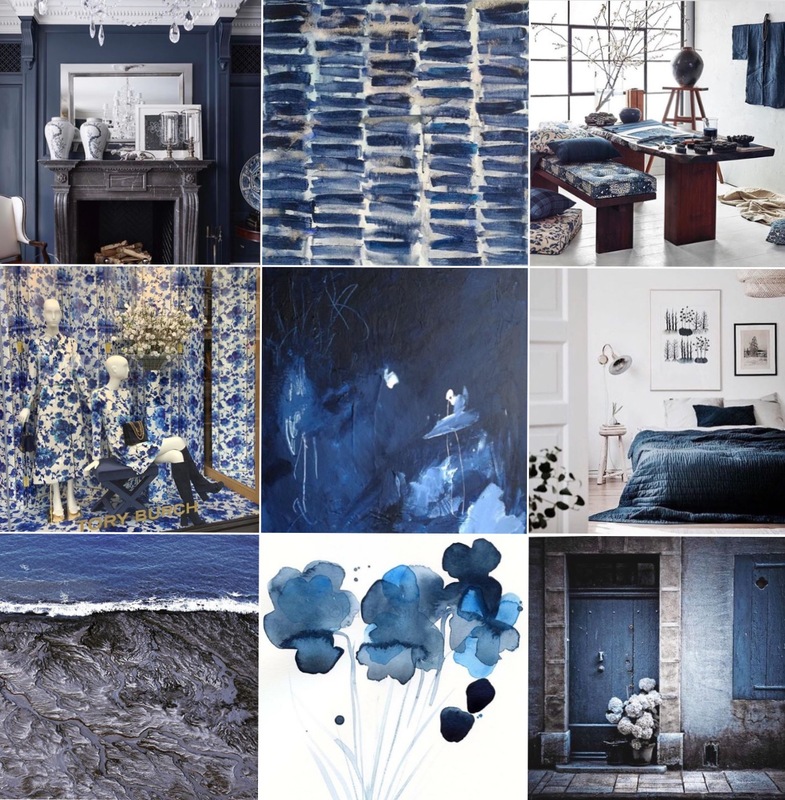 Navy @michelleogundehin Instagram moodboard. Check feed for full credits.